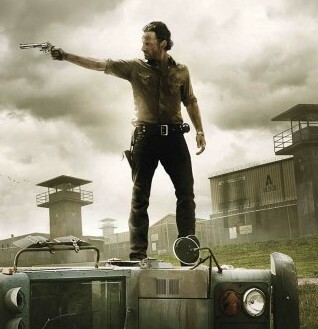 The season finale of “The Walking Dead” had a few surprises and was executed to perfection. “Conquer” opened up with Morgan doing his best Donatello Ninja Turtle impression by taking out a few members of “The Wolves,” a new gang that will definitely pose a threat next season. Although Morgan has only appeared in a few episodes of this beloved series, he is an absolute fan favorite. It seems that he will now be a series regular next season, which is good news for fans. Back in Alexandria, Rick wakes up in a room after the brutal fight he got into with Pete as well as getting knocked out by Michonne. Deanna plans to have a meeting to discuss the events that took place and Rick has plans of his own if the residents of Alexandria decide to take matters into their own hands. “Conquer” had some intense moments that had several characters almost become zombie food. Daryl and Aaron were almost victims as well- due to a hoard of zombies coming out of trucks. Luckily for them, Morgan came to their rescue as he displayed Jedi skills with his broomstick of a weapon. Glenn was not only almost a victim from several zombies eating him up, but he was almost dead at the hands of Nicholas. As the episode went on we got to see how their situation unfolded and how Glenn took matters into his own hands. Father Gabriel decided to walk the path of righteousness outside the walls of Alexandria. He decided to confront a walker who fed on a human and kill them both. His fear of the dead still get the best of him, and the reality of how the world is run by the dead caused him to confront Sasha and speak his mind about how she was responsible for Bob’s death. This situation almost cost him his life if it wasn’t for Maggie stepping in. Abraham and Eugene finally settle their differences, while Tara is still unconscious after the explosion that took place earlier this season. What was great about this finale is that all of the character-driven storylines were settled and set up perfectly for what is to come next season. When Deanna has the meeting there were shots of Glenn fighting Nicholas and Rick killing several zombies after it is discovered that Father Gabriel did not close the gate to Alexandria.